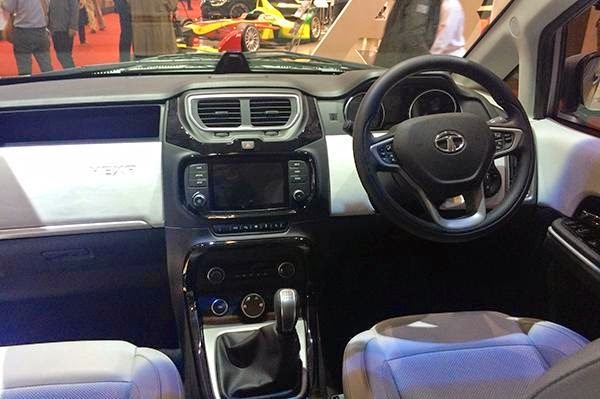 The Tata Hexa concept was showcased at Geneva motor show in an almost production-ready from. The Crossover-SUV concept is expected to become the precursor to the design of future Tata SUVs as well as enter production with the production model getting almost identical styling as the concept showcased. The production ready Hexa will be powered the 2.2-litre Varicor diesel engine from the updated Aria generating 154bhp and 40.8kgm of torque mated to a choice of a six-speed manual or automatic transmission. 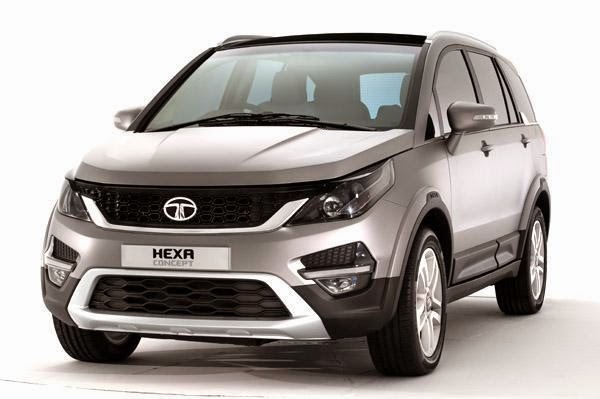 The Hexa, when it goes into production, will become the first Tata to receive a six-speed manual and automatic transmission with the most gear currently offered by the company being a five-speed in both manual and automatic cars. 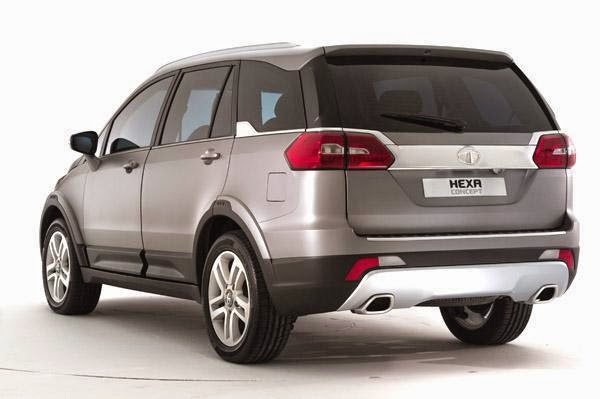 The Hexa will also get a torque-on-demand four-wheel drive system. A twin-turbo version of the 2.2-litre engine generating around 175bhp is expected to be in the offing but it cannot be confirmed if it will make its way to the Indian spec car. The crossover-SUV measures in at 4,764mm long, 1,895mm wide and 1,780mm high and has a wheelbase of 2,850mm making it the longest in Tata’s SUV segment. Up front the Hexa gets a new front-end styling featuring automatic projector headlamps, a new bonnet, grille and front bumper. On the sides the glasshouse bears resemblance to the Aria but the car additionally gets flared wheel arches along with black cladding and ‘HEXA’ badges. At the back, the car gets all-new horizontal tail-lamps, a new rear bumper with faux skid plate and rectangular dual exhausts while brushed aluminium trim is sported all around the exterior. Inside, the Hexa gets a dual-tone interior, seating for six, mood lighting, chrome-ringed dials in the instrument cluster, the Harman-sourced infotainment system from the Zest and Bolt as well as steering, climate control, dedicated four-wheel drive switches and Tata’s version of JLR’s Terrain Response System. The Hexa is to the Aria what the Bolt is to the Vista — a major evolution in styling, performance and quality. Tata aims to gain a strong foothold in the SUV-crossover segment with the new Hexa and in a bid to not repeat earlier mistakes, it will also look at pricing the car aggressively.